Dan Riehl Fighting for Life – Update: Out of ICU! This entry was posted on Saturday, October 27th, 2012 at 19:30 and is filed under Media, News, Politics, Public Service Announcement. 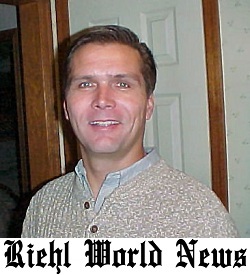 Conservative blogger Dan Riehl is in the ICU at the Fairfax County Hospital. This is terribly sad news, as by now, most Internet-savvy conservatives are familiar with him via Breitbart.com, his own Riehl World View, as well as Twitter, and frequent hat-tips to his blog by radio phenomenon Mark Levin. Dan has had emergency pulmonary bypass surgery. Gary P. Jackson has full coverage of the situation here. Dan is a first-rate blogger, and most of my readers will be familiar with him. Send prayers, love and support his way. He’s always been a great fighter for conservatism. Let us hope and pray Dan wins his personal fight. UPDATE: Dan was moved out of ICU. Gary Jackson has the great news here. Let’s hope there is a full and speedy recovery! 3 Responses to Dan Riehl Fighting for Life – Update: Out of ICU! Prayers from all over America going up for our beloved Dan Riehl. Jehova Rapha hears, Jehova Rapha cares.